Study have focused on NaCl induced HO 1 production and its co-relation to ROS and antioxidant regulation in Eruca sativa. Seedlings were subjected to NaCl stress ranges from 10 to 150 mM. After 96 h of treatment, plants samples were harvested to evaluate the cellular equilibrium and salt tolerance mechanisms through morphological, stress parameters, non enzymatic and antioxidant enzymes. The HO 1 activity was found to be highest at 75 mM NaCl in leaves and roots which were 2.49 and 2.02 folds respectively. The expression of EsHO 1 was also observed and the higher expression was recorded in roots than leaves. The overall activity of other antioxidants (APX and proline) was also found to be higher at 75 mM concentration. The highest HO 1 activity with other antioxidants indicates the decline in LPX and ROS at 75 mM NaCl. 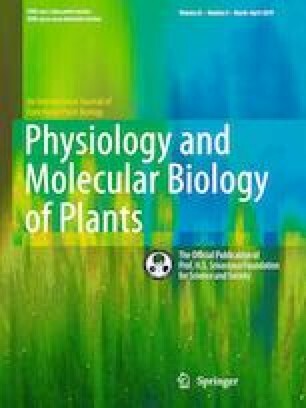 The present study concluded that HO 1 helps in amelioration of NaCl stress by working within a group of antioxidants that create the defense machinery in seedlings of E. sativa by manipulating various physiological processes of plants. These findings for the first time suggest the protective role of HO 1 in scavenging ROS in E. sativa under salinity stress.